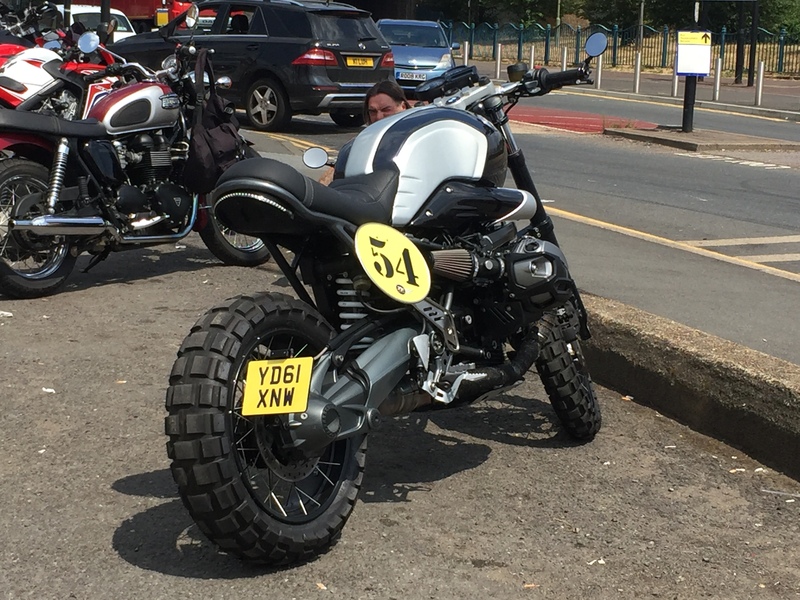 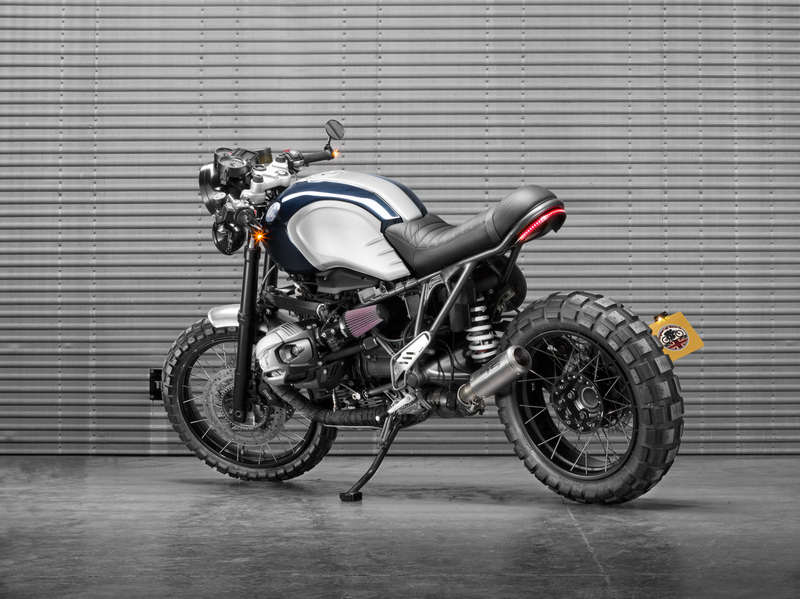 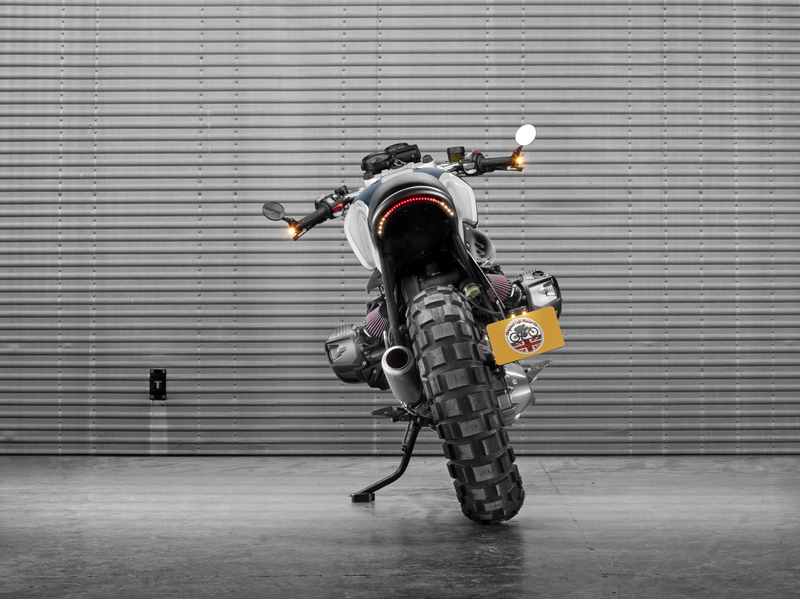 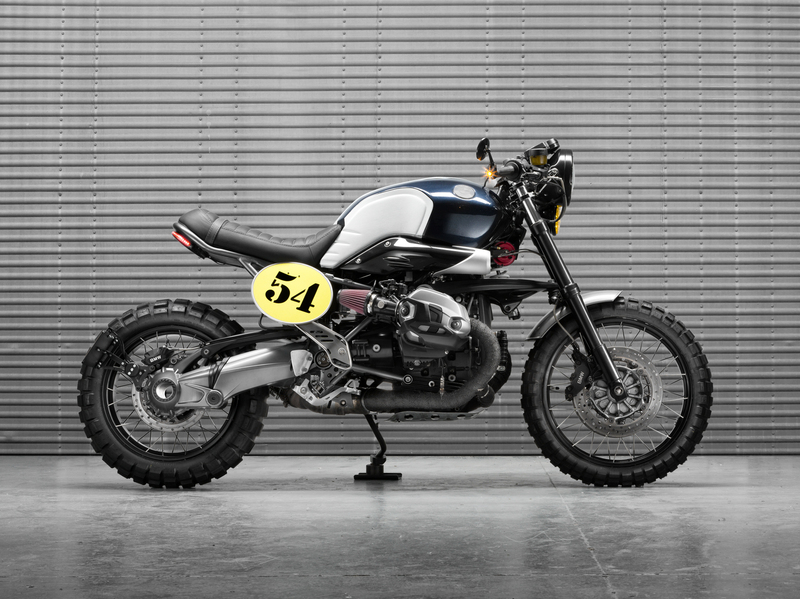 It’s hard to believe that this passionately hand-crafted café racer started life as one of the last air-cooled BMW R1200GS in the country. 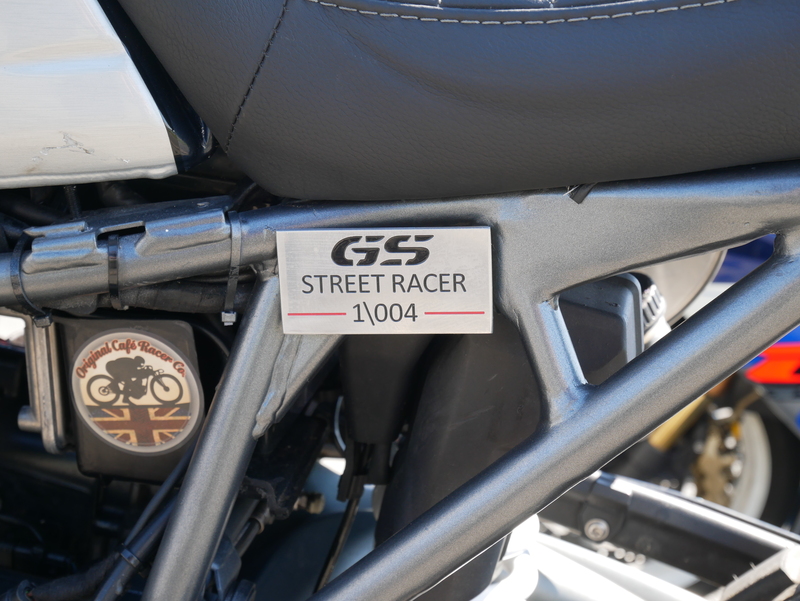 The creator’s holy grail was to produce a Street Racer with all the capabilities of a GS. 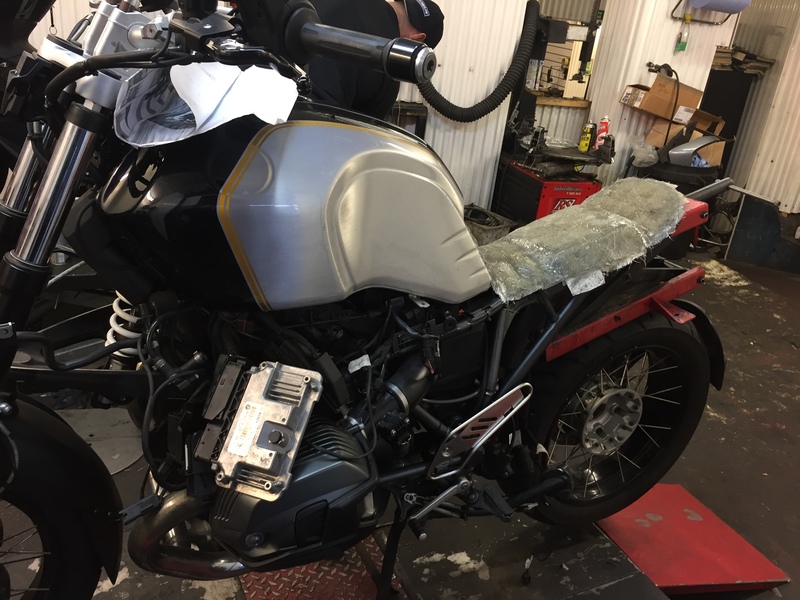 This resulted in major modifications including; chopping the rear end, replacing the fuel tank, discarding the air box, exhaust and massive oil cooler. 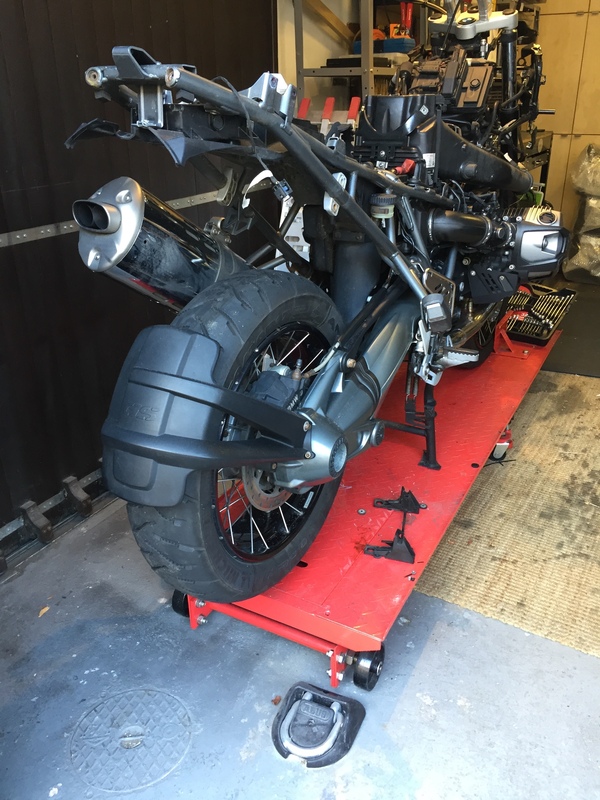 This transformation resulted in a loss of weight close to 45KG creating a light weight, high performance bike maximising its engine to full capacity with K&N filters. 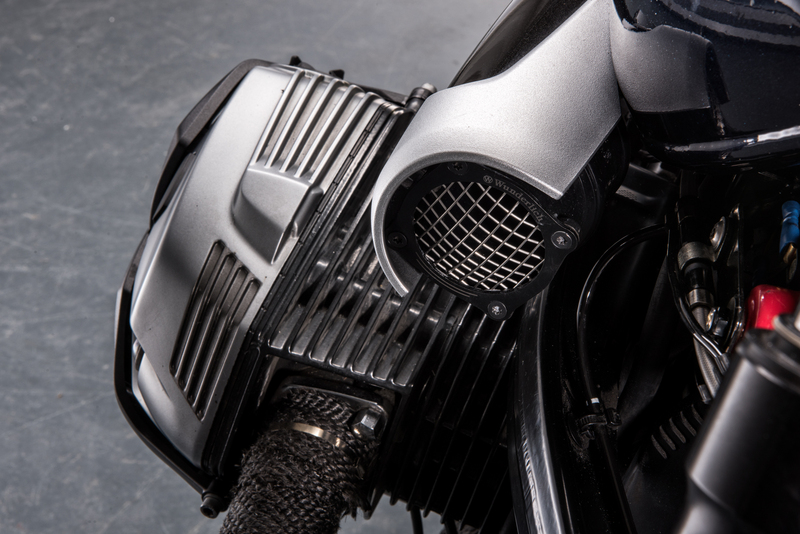 The original large oil cooler has been replaced with a smaller more efficient unit and relocated from being mounted on the forks to sitting snugly in front of the engine. 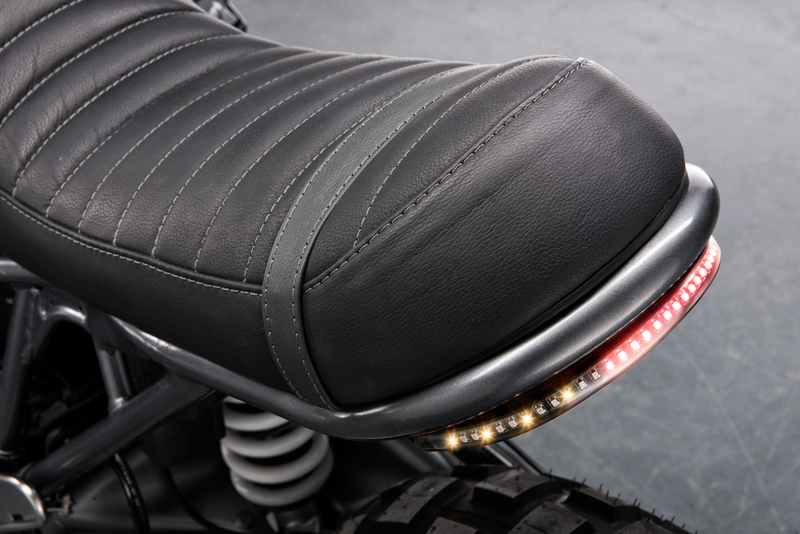 The Continental TKC 80 tyres complete the look but maintain a smooth ride on tarmac. 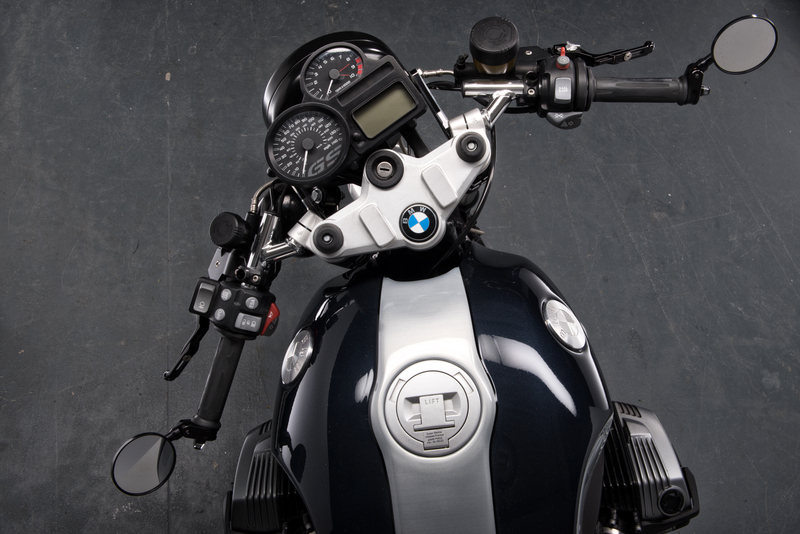 Those who have ridden this bike have been surprised by the comfortable yet sporty feel the clip-on bars have added to the ride and the handling of the bike. 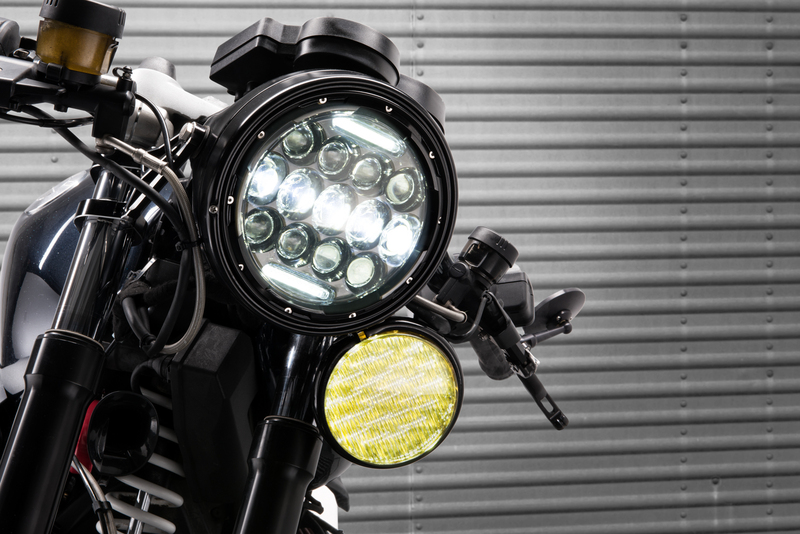 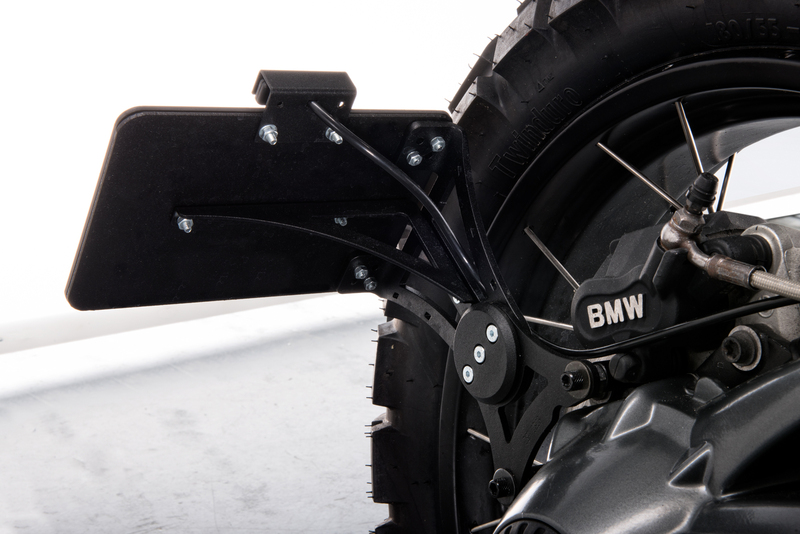 LED headlights compliment the bike’s distinctive ergonomics as well as adding greater visibility. 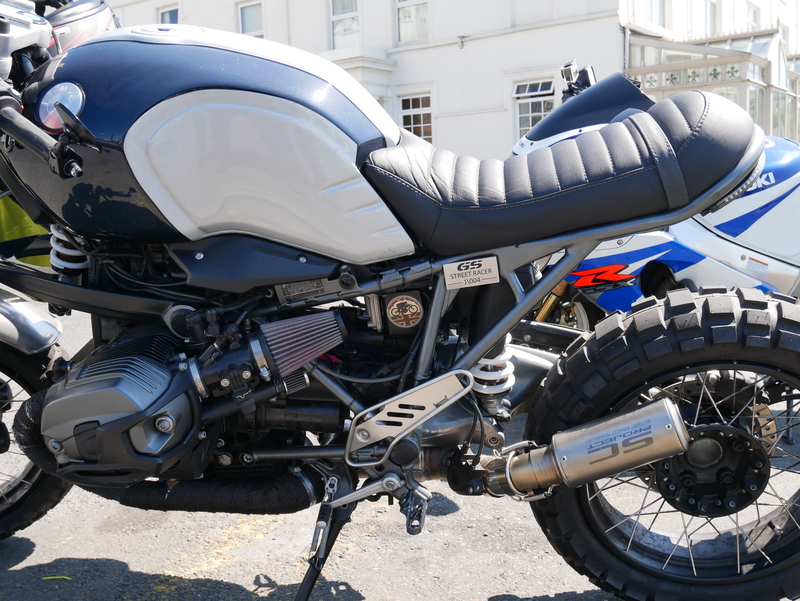 The one off, custom leather seat provides the perfect riding position and feels comfortable on long rides as well as being practical by storing all the cables and diagnostic plug. 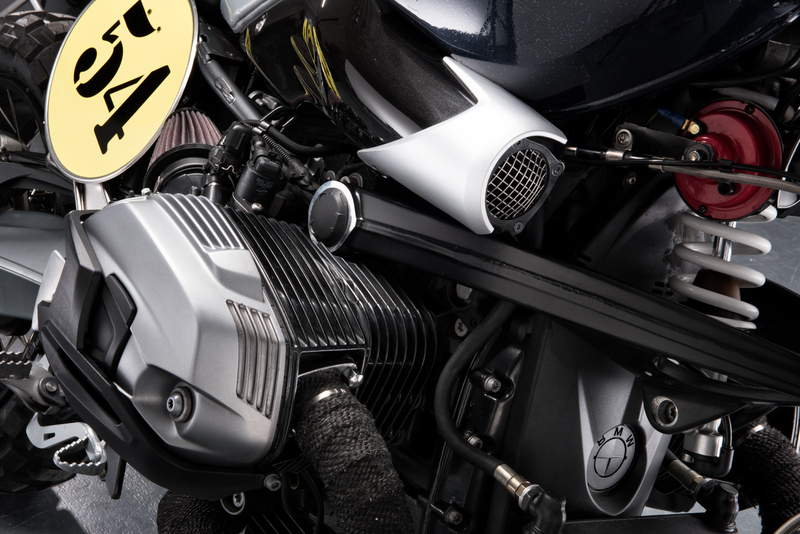 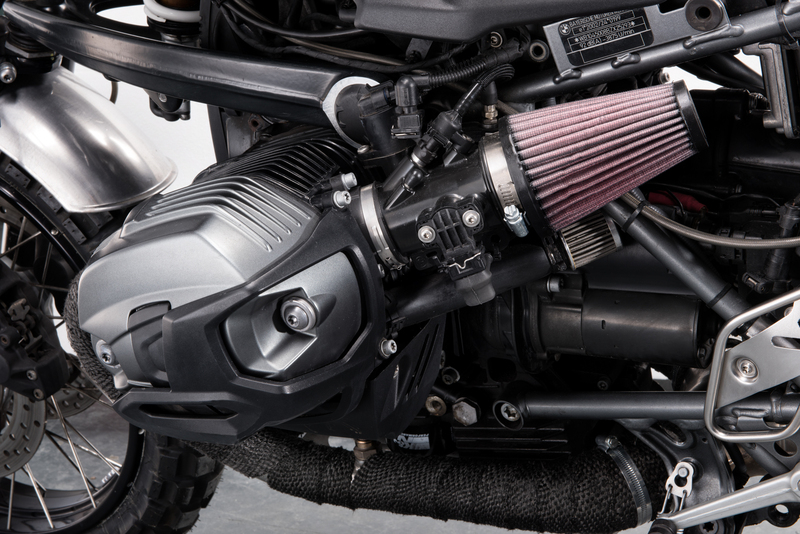 The SC MotoGP silencer adds a deep but rich tone to the exhaust without being overly loud or needing a baffle to pass a M.O.T. 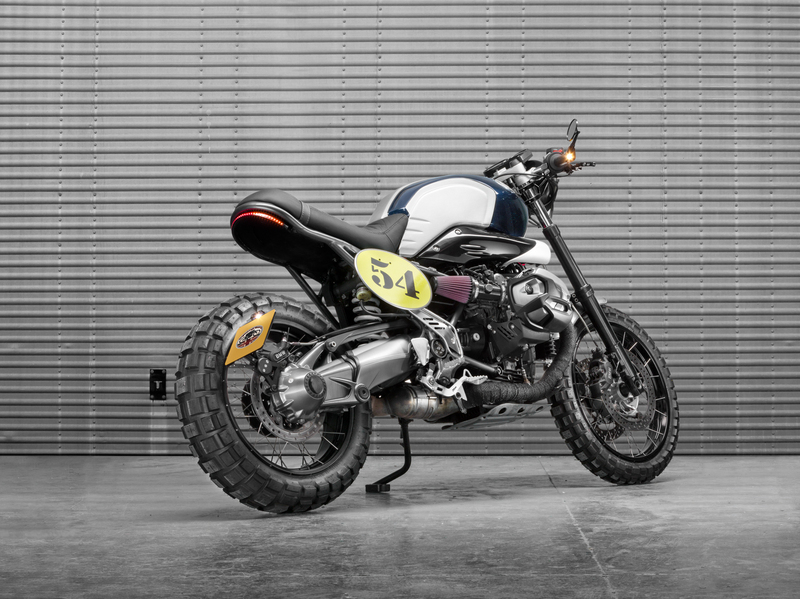 This good looking café racer embodies the speed, status and rebellion of the genre – now one of the most desired, collectable and signature style motorbikes on the market. 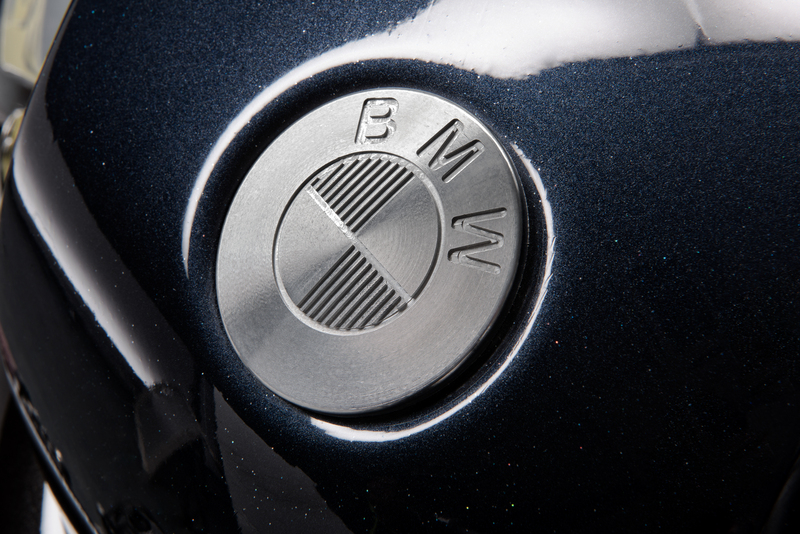 To discuss owning one of these limited edition machines, please go to Contact and tell us about your vision.